It was a gorgeous warm sunny day for my photo shoot this weekend, and there was plenty of wildlife for me to focus my lens on. For the majority of the shoot I decided to concentrate on my feathered friends, pointing my camera skywards to try and capture some birds in flight. 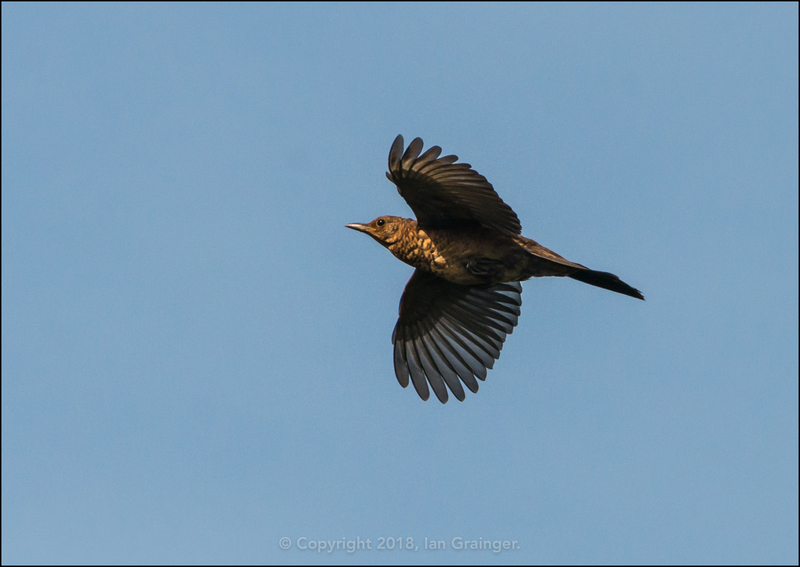 Considering dad's garden is usually full of Blackbirds (Turdus merula), I had very few shots of them flying. 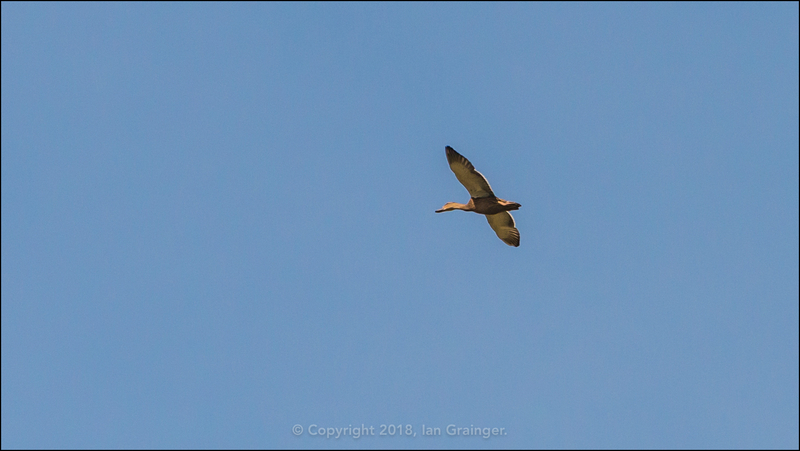 So, I was very pleased to grab this image of a flying female as she zoomed by overhead. 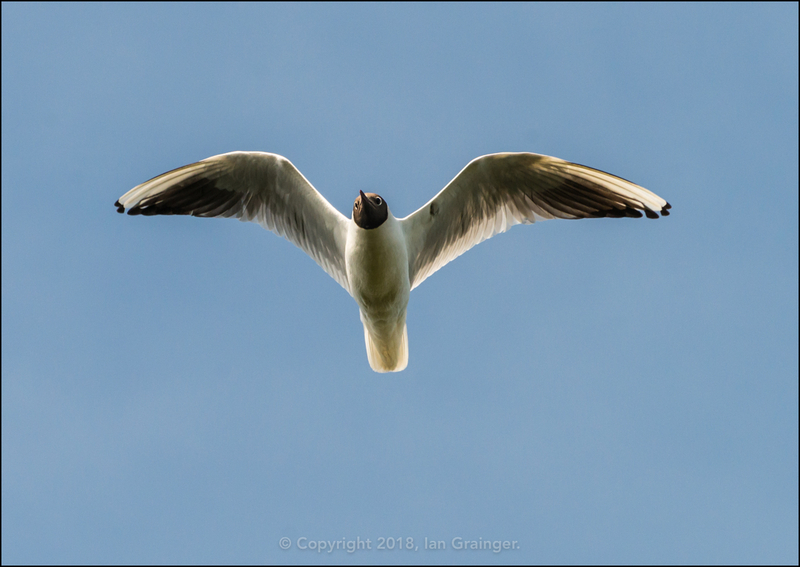 It was a lot more common to see the Black Headed Gulls (Chroicocephalus ridibundus) flying overhead than seeing them land, so I wasn't surprised to get a shot of this individual as he surveyed the lawn for food. 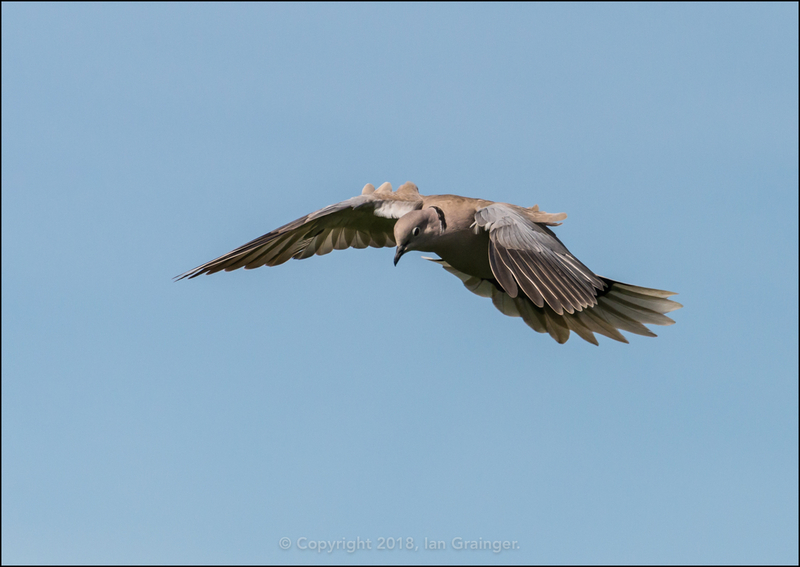 However, this Collared Dove (Streptopelia decaocto) surprised me by circling the garden a couple of times before landing. 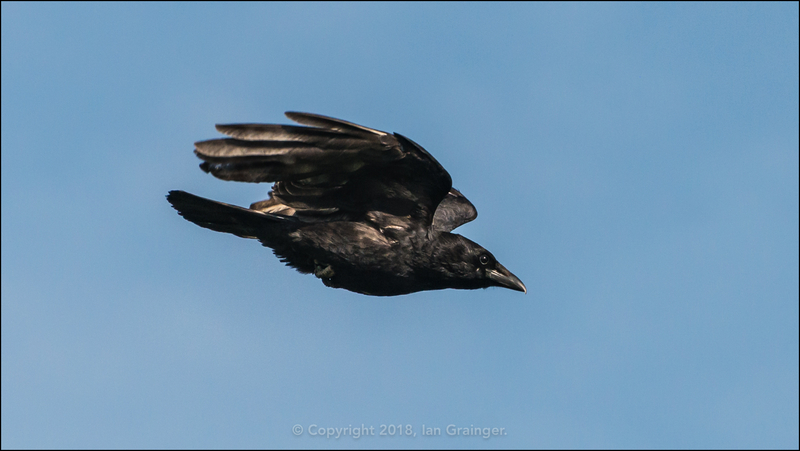 There were then a series of fly-pasts, starting with this Jackdaw (Corvus monedula) as it flew at speed across the sky. 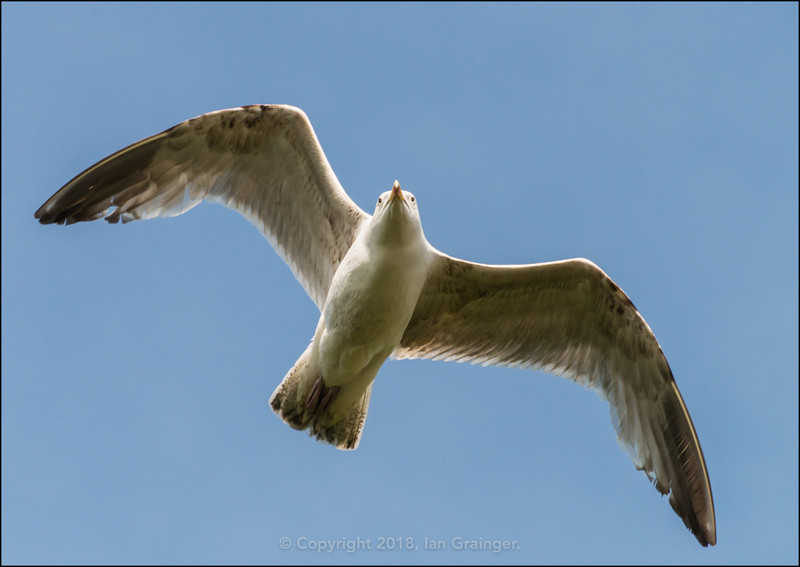 This was followed by a very curious Herring Gull (Larus argentatus), which flew by several times before disappearing into the distance. 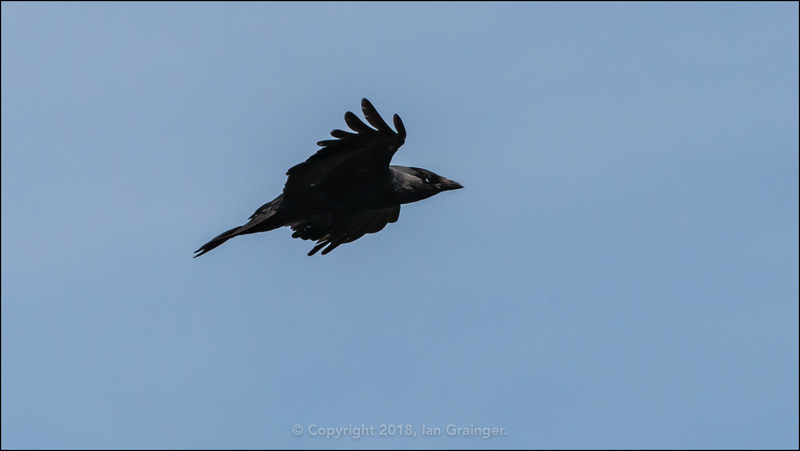 A Crow (Corvid) then seemed to think about diving into the garden, before pulling out, and flying off. In the distance, I also spotted this lone Mallard (Anas platyrhynchos) duck, presumably heading off to find a body of water to land on. 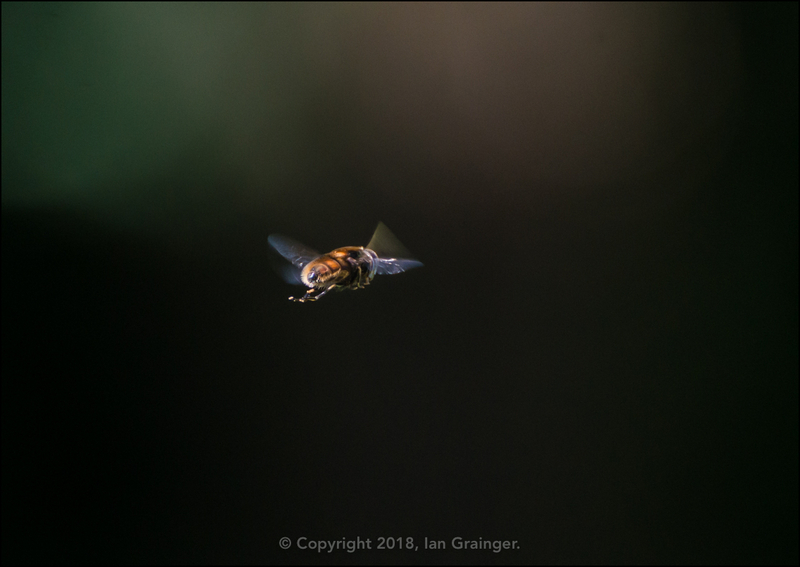 The flying wildlife didn't end at birds, as I spotted this Hoverfly (Syrphidae) hovering above a small patch of flowers. Switching to a macro lens, I went off in search of some insects. 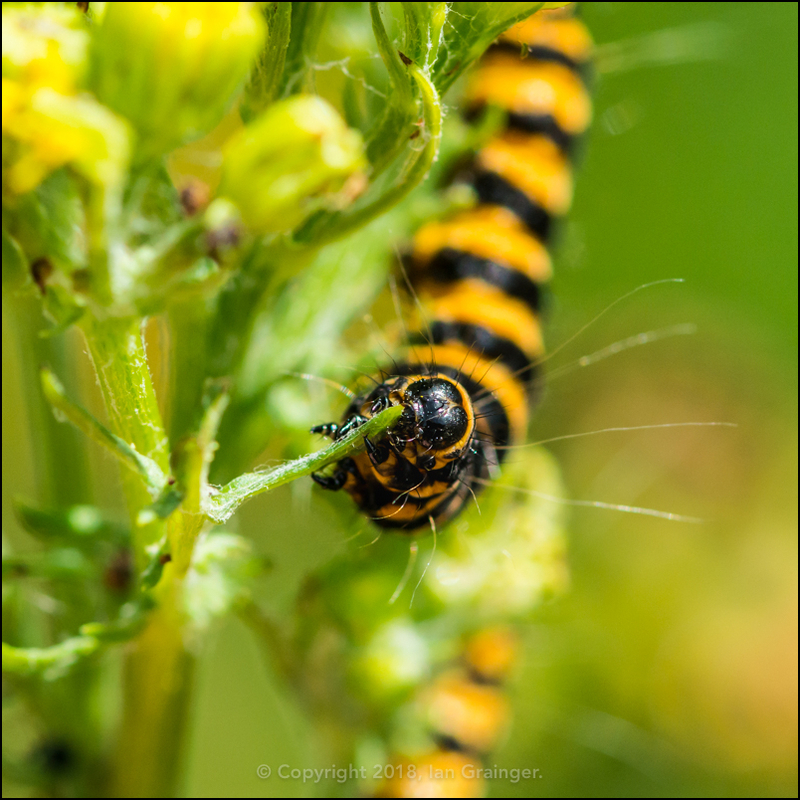 The Cinnabar Moth (Tyria jacobaeae) caterpillars were still enjoying tucking into the Ragwort (Senecio) plants, and had almost completely devoured them. 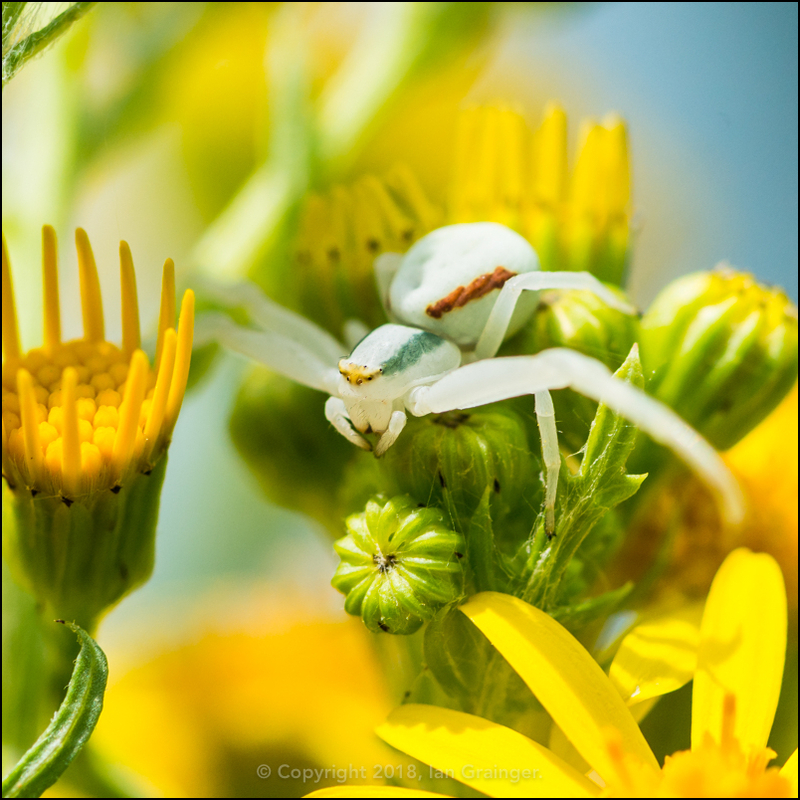 Whilst photographing the caterpillars, I spotted this tiny Crab Spider (Misumena vatia), laying in wait to ambush an unsuspecting fly. 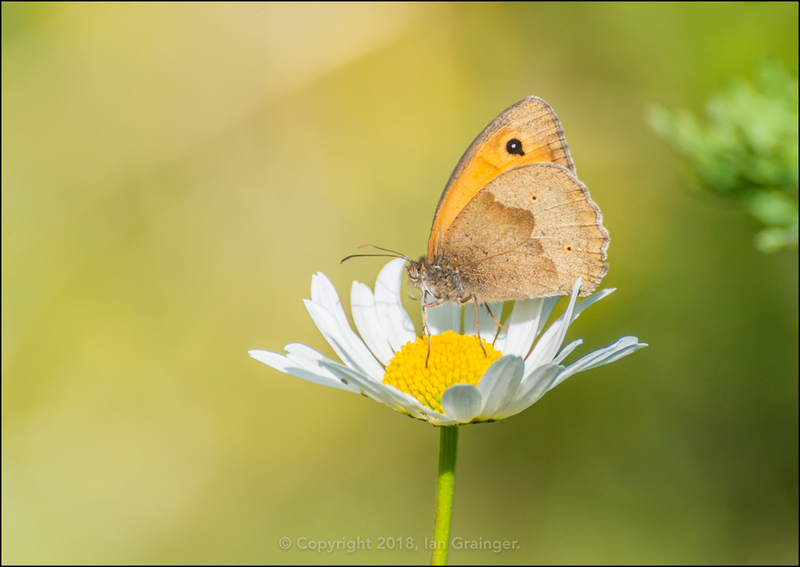 I also came across this Gatekeeper (Pyronia tithonus) butterfly, about to sample the delights of a pollen rich Oxeye Daisy (Leucanthemum vulgare). 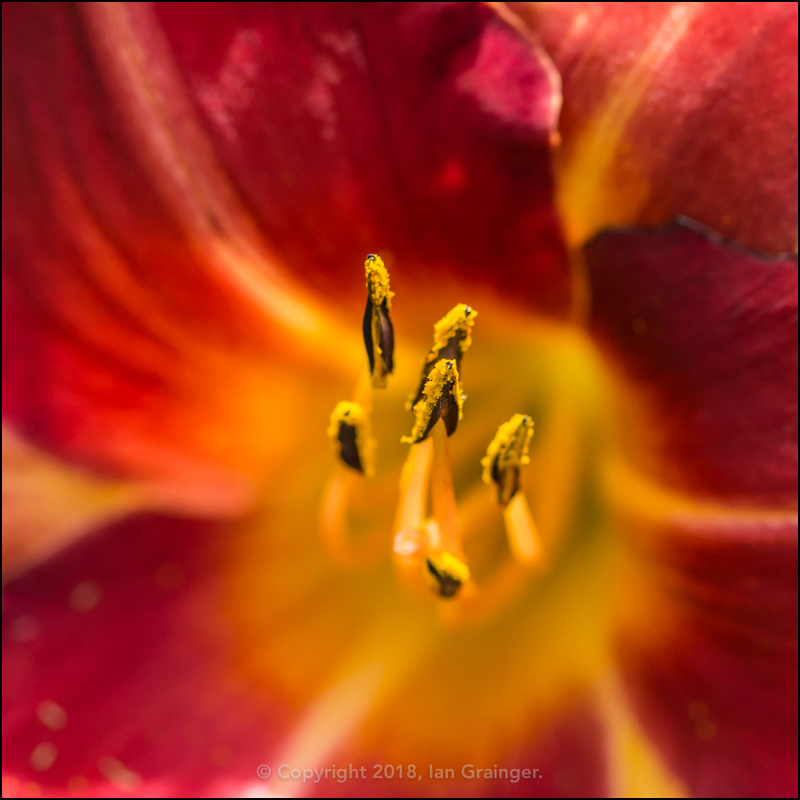 New plants to dad's garden this week included this very pretty Daylily (Hemerocallis) variety 'Chicago Cherry'. 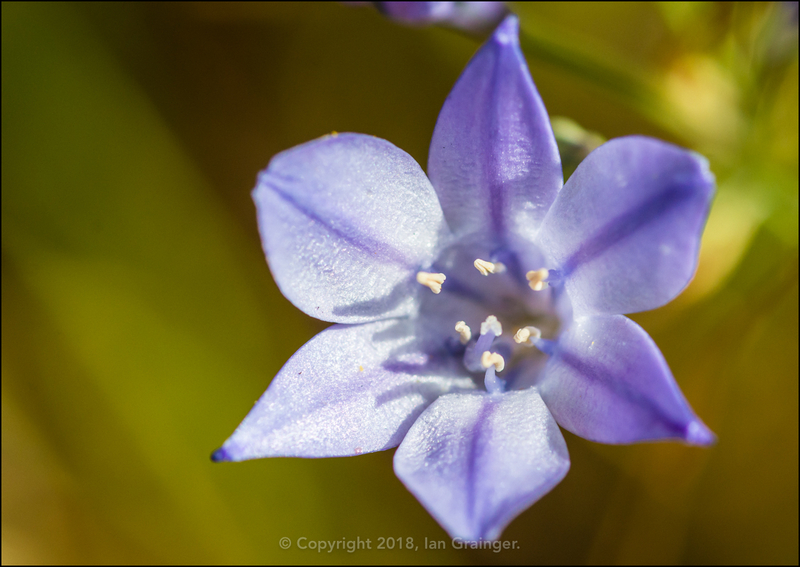 These lovely blue blooms come under a variety of names, but I've always known them as Grassnut (Triteleia laxa, sometimes sold as Brodiaea laxa). 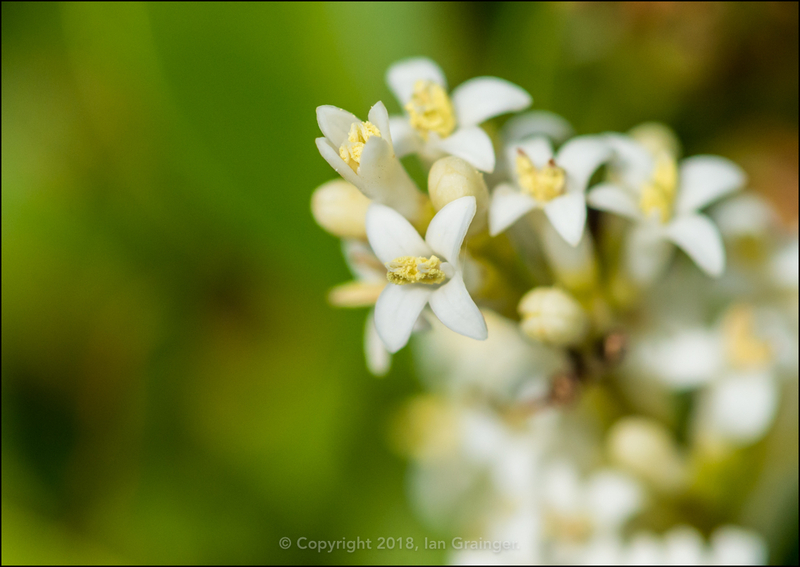 The Privet hedges had also burst into blossom, and I thought their tiny white flowers were quite striking when you zoomed into them. Finally from dad's garden, there was a new weed to discover! 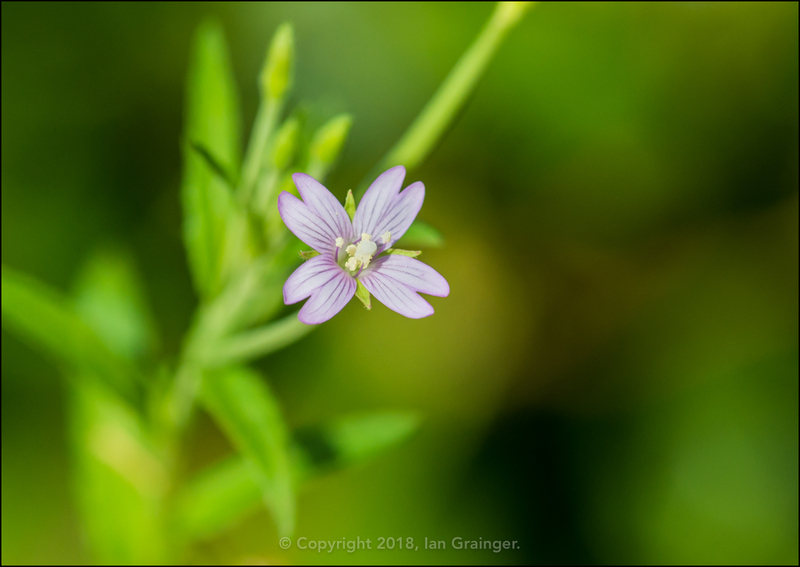 I think this is American Willowherb (Epilobium ciliatum), and it was looking quite lovely in the sunshine. Something a bit different from my fishy friends this week. After increasing the number of Ember Tetras (Hyphessobrycon amandae) in one of my aquariums, I decided to shoot a short video of them all schooling together. If you look closely you can also see one of my Sterba Corydoras (Sterbai Corydoras) catfish, some Red Cherry Shrimp (Neocaridina davidi) and a patrolling Assassin Snail (Clea helena).